It’s no stretch to say we’ve been in the retro-revival trend for the better half of a decade now. There have been plenty of good and bad examples of how to implement and rework old franchises with modern twists over the years, with many of them coming from humble starts on Kickstarter or similar platforms. Chasm is another one of these Kickstarter projects that was originally pitched back in 2013, and advertises itself as a “2D Action-RPG Platformer… Taking equal inspiration from hack ‘n slash dungeon crawlers and Metroidvania-style platformers…” The result of its 5-year development cycle is a somewhat middling callback to the PSX and GBA-eras of Castlevania. Chasm’s biggest advertising point is its procedurally generated map, yet I feel like this is the weakest part of the game. I played through the first area on multiple save files just too see how randomly things could spawn, and it turns out it’s not that much. The general level layout stayed mostly the same across all the different save files; in fact, the only things that did change were the smaller “filler” rooms and what certain crates would drop when destroyed. Important rooms and puzzle rooms stayed the same. I guess it’s because you wouldn’t want to accidentally have the seed generate an unsolvable puzzle. This means, that all the memorable and bigger parts of the game are unchanging, something that I feel undervalues the point of saying the game has “procedural generation” in the first place. 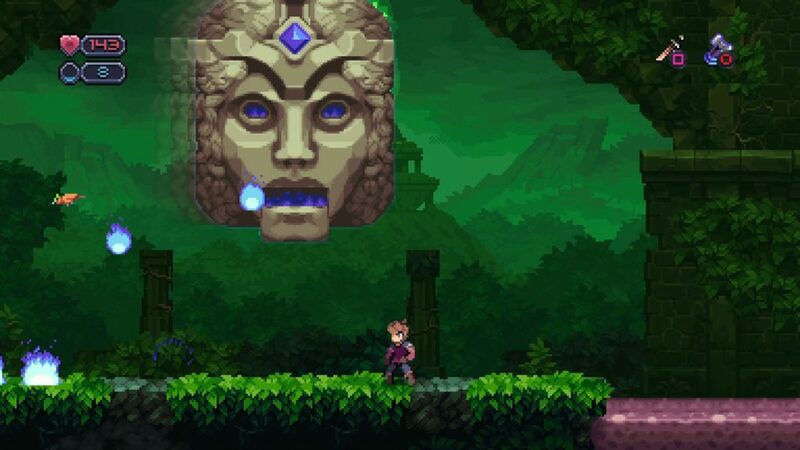 Despite this, Chasm captures a lot of what makes older 2D platformers fun to play. Enemy types are varied and require a lot of trial and error to learn their patterns. This leads to a lot of frustrating deaths, but it makes overcoming tougher foes feel so satisfying. Bosses are an excellent example of this. Many of them have huge screen-wide attacks, but there’s always some kind of tell or opening you can abuse to get around them. Most enemies do an adequate amount of damage, so trying to brute force your way through encounters almost always ends in death. Combat feels like a much stiffer version of Symphony of the Night; in fact, you can sum up a lot of Chasm by saying it feels like a diet version of the post-revamp eras of Castlevania. You have a lot of the same combat tricks, attack animations, sub-weapons, and your main character even has that little aura effect Alucard does in SotN. A lot of encounters will have you attacking and then jumping away from whatever you’re fighting. There is a back-dash, but it never really feels good to use. This repetition can sometimes make combat feel slow or clunky, an unfortunate cost to the game’s otherwise enjoyable gameplay. The platforming is also real hit-or-miss. Early on, jumps feel frustrating, and mile-high rooms can lead to 2-3-minute climbs that get rest by 1 simple misstep. In contrast, the end game platforming puzzles are really fun, and the number of movement options makes navigating the mines and ruins in the game entertaining. I honestly wish the double-jump was given to you a lot earlier. Some of the most enjoyable moments I had with this game came in the last hour or so after I had all the movement upgrades. Visually, Chasm is a treat. Everything from enemy designs to stage visuals stands out and makes the game a joy to explore. Each new area is vastly different from the previous one, and with each comes a whole new round of enemies. If I had to pick an area I liked in particular, I think it would be the catacombs. It’s the place that ties in the best with the air of mystery the game tries to build in its storytelling…and it’s also got some of my favorite enemies and music. There are two ends to the spectrum when it comes to retro-inspired games. On one end you have games like Shovel Knight, which adapt and refine the parts of older games that made them good. On the other, you have things like Yooka-Laylee, which attempt to recapture nostalgia but miss all the important aspects that make a game good or special. I’d place Chasm right in the middle. Its designers knew what they were doing and built a great successor to an old franchise, but it is not pushed far enough and feels sorely lacking in the things that made many of its predecessors feel special. Looking over the Kickstarter page reveals a bunch of different things the developers planned to implement as stretch goals, and I’m sad those never made it in. 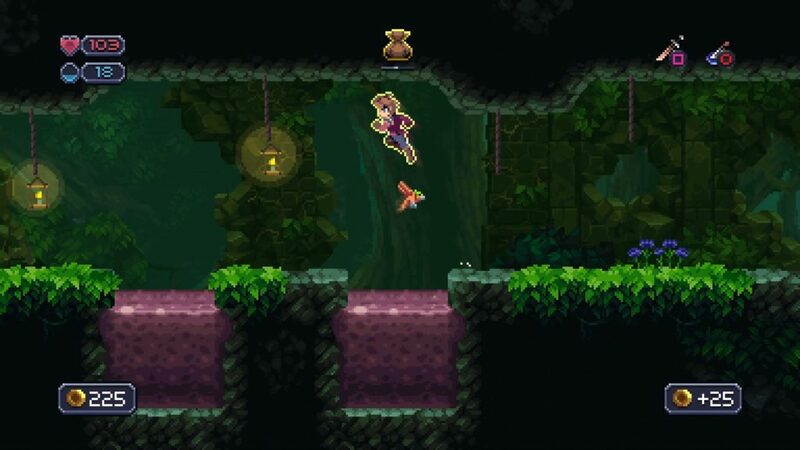 Chasm is a solid game, but it lacks that extra “umpf” to make it into something memorable. Taylor is a writer from Atlanta, GA. His passion for games extends across genres and generations. When not playing or writing about games, he's probably reading science fiction.